HWP is a document format much like DOC or RTF which means it can easily be edited or modified using your standard word processor. But they are not that popular outside of Korea which means if you have a HWP document, you may want to convert it to a more popular, easy to share format. One of the best formats to target is PDF. PDF offers an easy and secure way to share documents online. 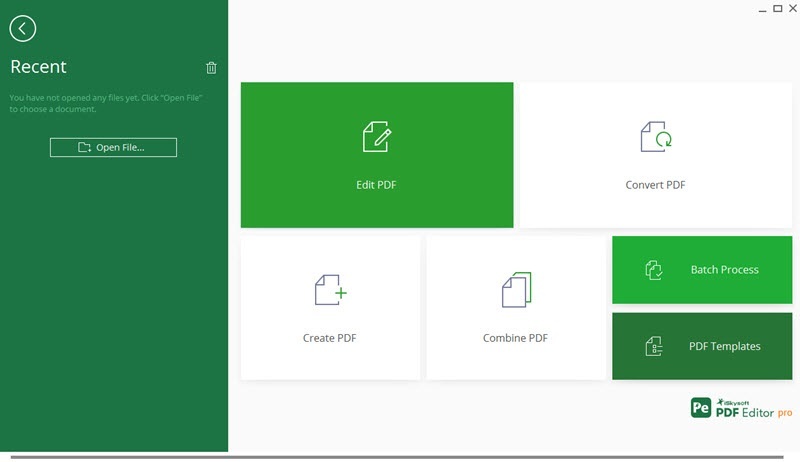 In this article, we focus on how to convert HWP to PDF using the best tool for the job. 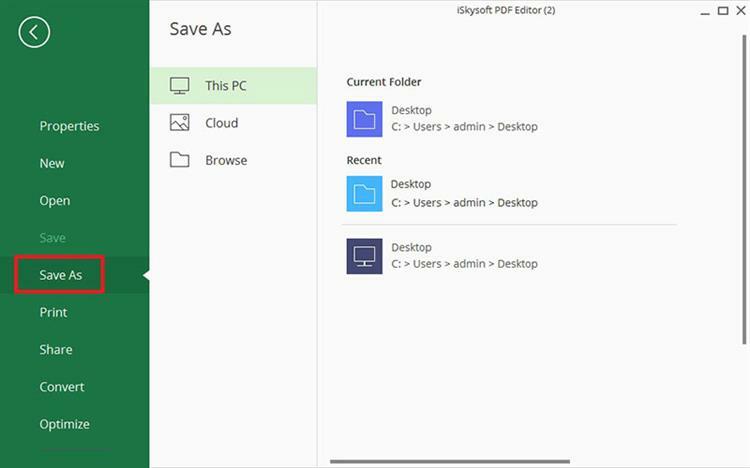 The best HWP to PDF converter to convert a HWP file to PDF is to use iSkysoft PDF Editor 6 Professional for Windows (or iSkysoft PDF Editor 6 Professional for Mac). This tool is the only PDF management tool that is more than just a converter. Converting your HWP document to PDF using this tool is an easy, seamless experience and you get numerous options to edit the resulting PDF document. To understand just how easy it is to use iSkysoft PDF Editor Professional 6 to convert HWP to PDF, it is necessary to show you how to use this HWP to PDF converter. Follow these simple steps. To begin, you'll first need to download and install the program to your computer. Once the program is installed successfully, double-click on the program's icon to open it. The next step is to import the HWP file you want to convert. You can do that in one of many ways; you can drag and drop the file into the main window to open it or you could click on "Create PDF" to locate the file and open it. You can also click on "File > Open" to browse for the file and open it. Once the HWP file is open in iSkysoft PDF Editor Professional, it is automatically converted to PDF. All you have to do now is save the file to have a PDF copy of it on your computer. To do that, go to "File > Save As" and choose a location to save the newly created PDF file. As you can see from the tutorial above, iSkysoft PDF Editor 6 Professional for Windows (or iSkysoft PDF Editor 6 Professional for Mac) makes it very easy to convert not just HWP, but nearly all formats to PDF; all you have to do is open the document in the program to convert it. But that's not all it can do. 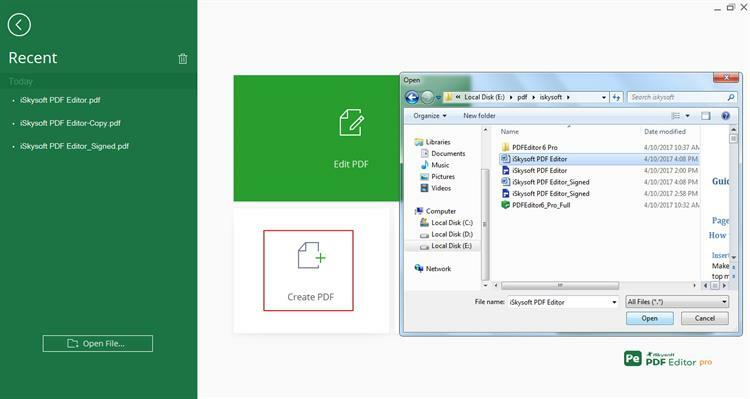 This program has a lot of other features that can help you take control of your PDF document. With these features, you can edit, save and share and do so much more with a PDF document. It has amazing PDF editing features, allowing you to easily edit the text by changing the font color, font size and font style of the text. The same easy editing qualities can be applied to the images on the document. You can change, delete and even re-size the images on the document. This tool also come with an incredible OCR function that detects a scanned PDF document and lets you easily perform OCR on it to make it editable. You can also annotate the PDF document in numerous ways. For instance, you can add custom stamps and comments to the document. You can also highlight and underline the text. It also has document protection features that can help you easily ensure sensitive information on the document doesn't get into the wrong hands. You can password-protect a document, add a signature, add a watermark or even redact some of the content. When you're happy with the changes you've made, you can very easily share or save the document without having to leave the program. Another easy way to convert HWP to PDF is to use one of the numerous HWP to PDF converters online. Most of these tools are free, and they are all very easy to use; all you have to do is upload the HWP file into the tool and it is instantly converted. While most online HWP to PDF converters are actually very useful and will easily convert HWP to PDF online successfully, it is important to note that there are some shortcomings of using this method to convert files. To begin with, the internet is not a very safe environment for your files especially if they have sensitive information. The open internet is a security risk for documents of a sensitive nature especially since you don't know how long the file will remain on the website after conversion. It is also worth noting that you may not be able to convert as many HWP files as you need. But if you have just a few documents to convert, the following top online tools can help you convert HWP to PDF online for free. As the name suggests, Free File Convert is a website and also a HWP to PDF converter online that allows you to convert files from one format to another for free. It is available for free on any browser and can be used to convert HWP file to PDF online in a few simple clicks. In fact, like most online tools the process is very simple. All you have to do is upload the HWP document you want to convert and hit the "Convert" button. With this tool, you can convert a file without having to create an account or enter an email address. It is free and accessible on any browser. You don't need to create an account to convert the file. It doesn't support batch conversions. It may alter the original formatting of the document. Online Convert Free is another online HWP to PDF converter which you can go to convert files from one format to another. With it, you can easily convert HWP to PDF online, all you have to do is choose the file you need to covert and then click "Convert" to begin the process. It is very easy to use and completely free to use. You don't have to create an account to convert files. It supports Google Drive and Dropbox. It can't process password-protected documents. 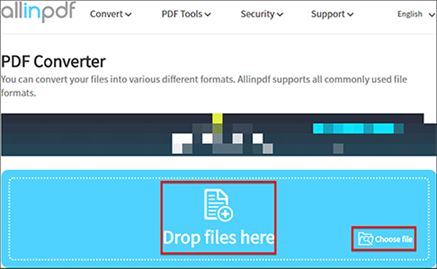 AllinPDF is an easy to use online tool that you can use to convert HWP to PDF online for free. It is simple to use and has a great interface that makes it ideal if you don't have a lot of time to sift through ads trying to find the right button. You don't have to create an account or sign in to convert files although you are limited in the number of files you can convert per day. It is available for free on any browser and across all devices. It is very easy to use, with a great user interface. It can easily convert any size HWP file without altering the formatting on the document. It can't successfully convert multiple files at the same time. You may need to register to access some of the more advanced features.